This is a spare body set of the Buggyra Fat Fox. 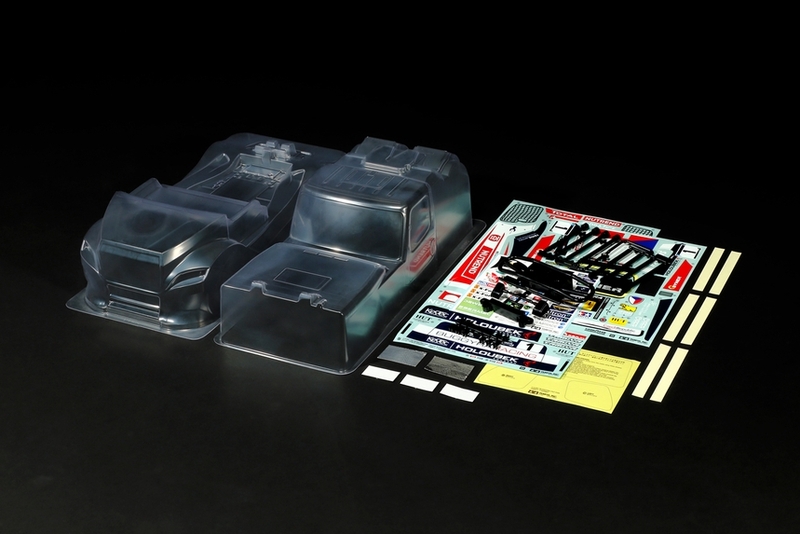 It includes all the necessary polycarbonate parts, stickers and plastic parts to make one complete body. •	The Buggyra Fat Fox form is captured by a 3-piece polycarbonate body (2 cab components and body) put together using double-sided tape. •	Comes with separate polycarbonate rear fender and coupler parts, plus molded side mirrors and 2-piece rear bumper. •	Included marking stickers recreate the sponsors and livery of the #1 Buggyra Racing 1969 truck for the 2018 season, driven by Adam Lacko. •	Taillights are compatible with separately-sold 5mm LEDs. •	Compatible with standard wheelbase TT-01 Type-E and TT-02 chassis cars. •	Requires: Tamiya PS spray paint to complete.